St Paul's has implemented a Bring Your Own Device (BYOD) program for Years 5 and 6. As children learn in the 21st Century, we believe that having ready, personal access to the internet and their own computer is essential to build skills that will take students into a future where crucial skills include communication, problem solving, collaboration and critical thinking. 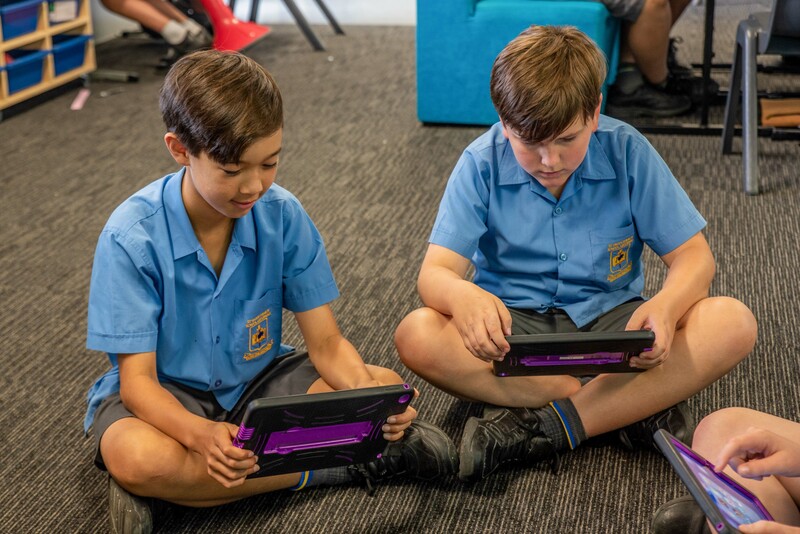 As St Paul's is a feeder school for St Mary's Catholic College, we use St Mary's 'device specifications' so our students can continue to use their devices in high school. Click here to access their BYOD specifications. You may wish to purchase devices from Harvey Norman, who have a special portal for St Paul's. All devices listed here are suitable to use at St Paul's. Mention that you are from St Paul's as we get a small proportion of sales. To allow easier access to the Wi-Fi network at school, we recommend that the ‘zScaler’ SSL certificate be installed on BYOD computers. This will allow easier access when at school. Just follow the instructions for your particular device on this 'Wi-Fi Support' link. Students are able to download a free version of Microsoft Office to their BYOD computer. This is not essential as most work at school will be done using the Office Online suite. If you wish to download Office, click here.